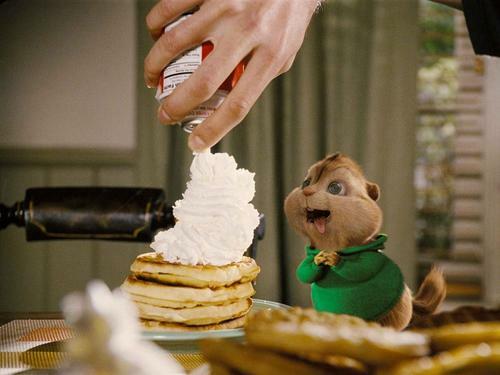 my kegemaran tupai, chipmunk. . HD Wallpaper and background images in the Alvin and the Chipmunks club tagged: theadore. This Alvin and the Chipmunks wallpaper might contain lempeng, penkek, kek lapisan es, frosted kek lapis, cupcake, and kek cawan.